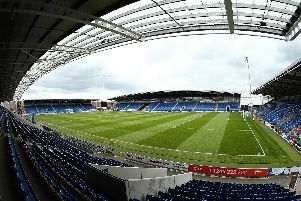 Five Chesterfield FC youth team players have signed professional contracts. The quintet impressed everyone at Saltergate last season and they have now been given an opportunity to make their mark with the Spireites at the b2net stadium. The five - right full-back Chris Tingay, striker Tendayi Darikwa, wide left midfielder Jimmy Adcock, left full-back Ryan Granger and midfielder Craig Clay - were members of the youth squad which reached the quarter finals of the Midlands Cup last season. Although the number of new pro contracts signed by scholars is a record high for Chesterfield, the decision did not surprise youth team manager Dave Bentley. He said: "Since manager John Sheridan joined us last summer the words were 'If they're good enough I'll put them in' and credit to the manager he's done just that. He's got them involved in training and they've had good experiences throughout the season." Clay has already featured among Sheridan's senior squad during the concluding stages of the season, with a place on the bench. Despite not making a senior appearance, Bentley believes that Clay's excellence, like his promoted team mates, is justifiable. He said: "I think Craig has earned himself the right of a two-year contract because he has been involved in the first-team quite a bit this year. "Tendayi has got a year's contract, and the three other boys have got six months, but that could go on for a year, two years, it just depends on how they adapt to the situation." The Spireites have awarded first professional contracts to a number of their scholars over recent years. These have included Adam Smith, Jamie Lowry and more recently Dan Gray and Jordan Bowery.